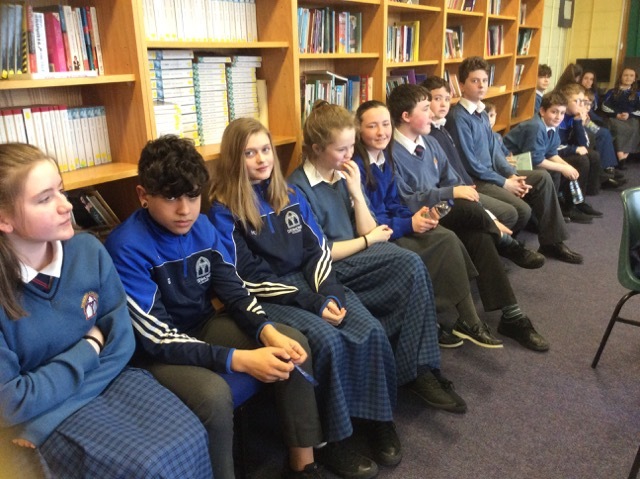 Students from Rang Grandin visiting the School Library as part of World Book Day. 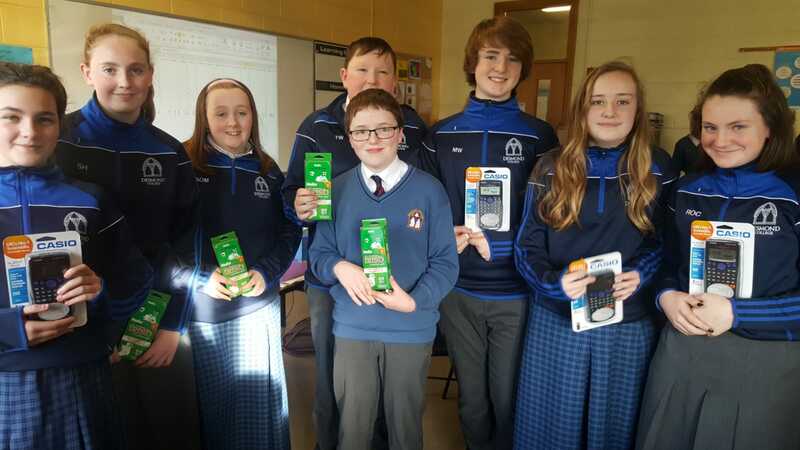 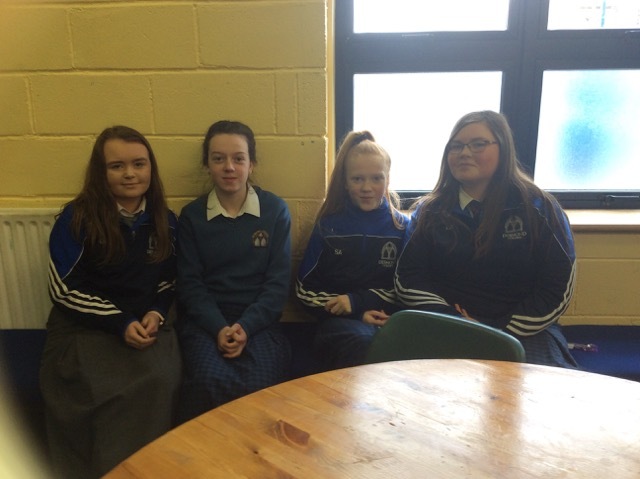 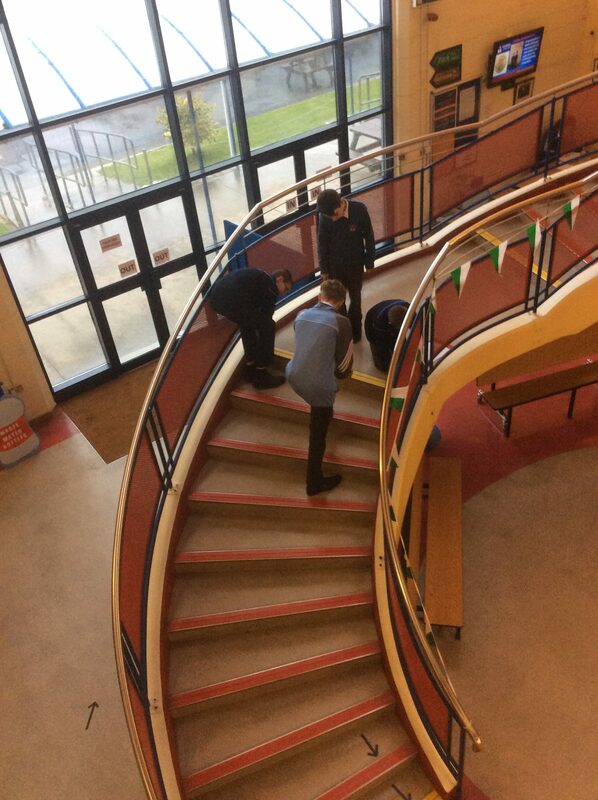 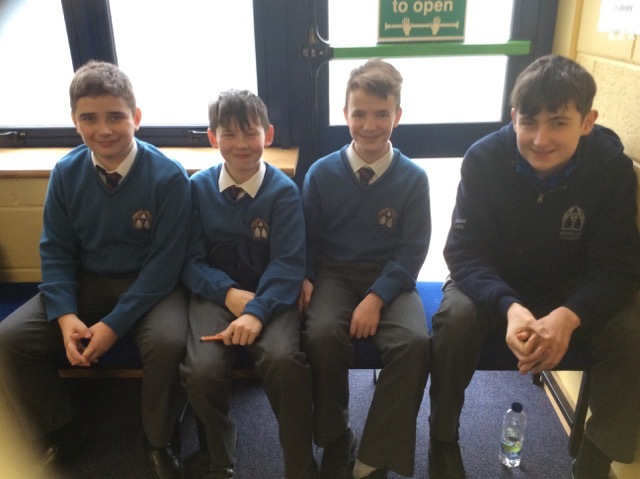 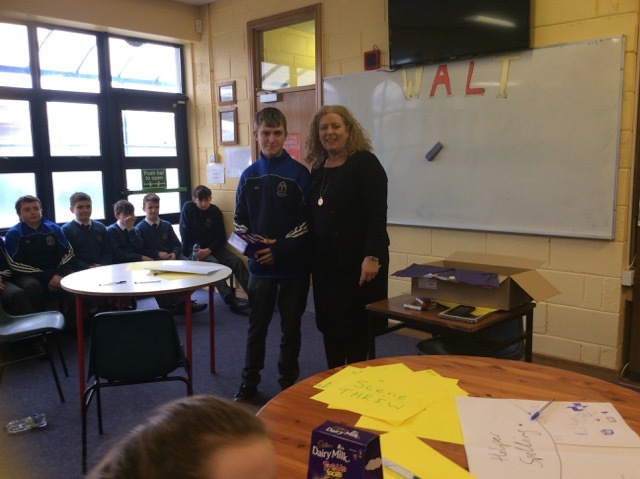 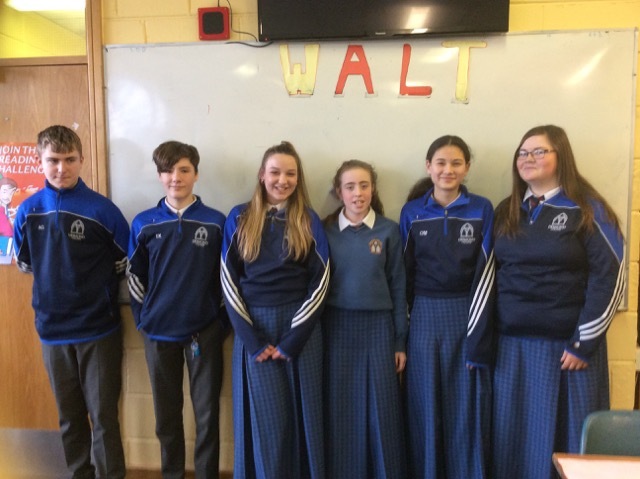 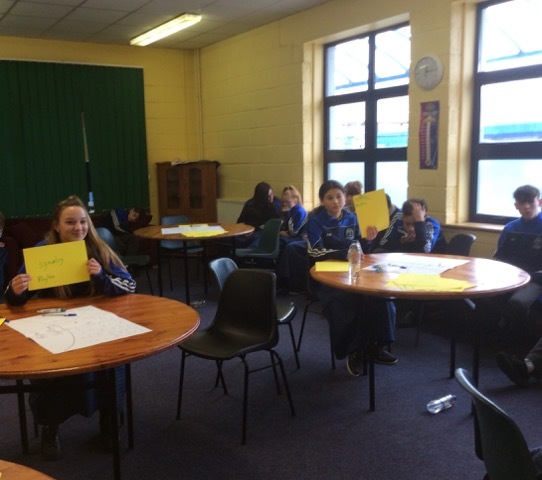 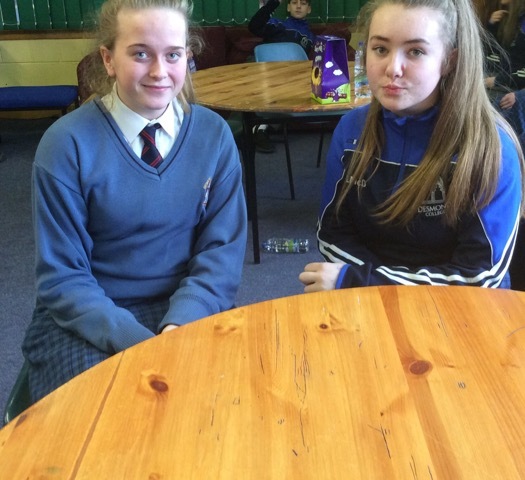 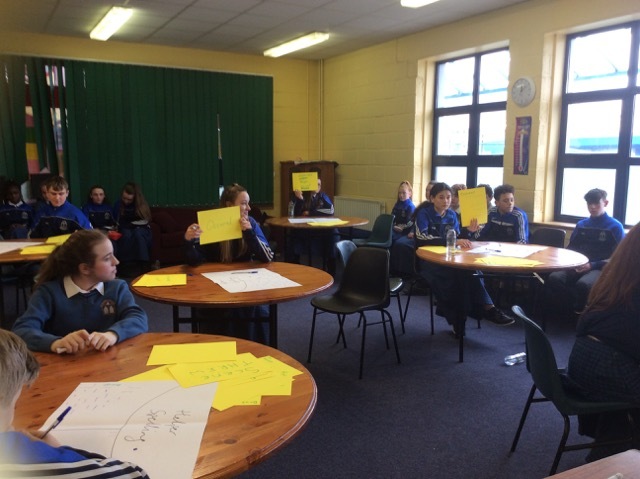 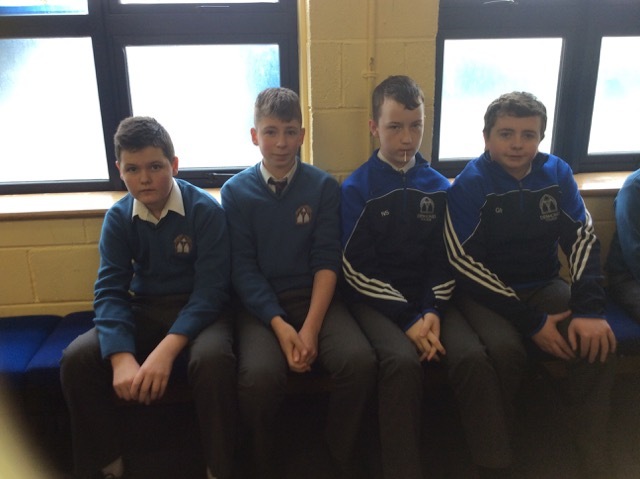 Maths week ran in Desmond College from 12th – 16th Nov. 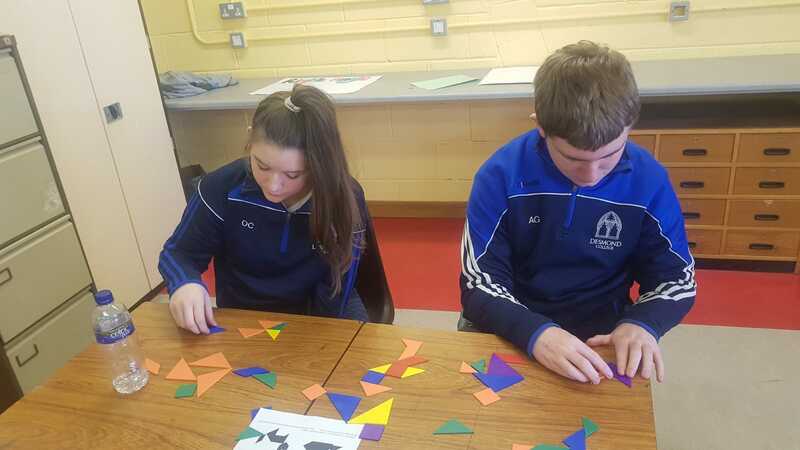 The Maths Department organised a range of activities for the students throughout the week to highlight the importance of maths in everyday life. 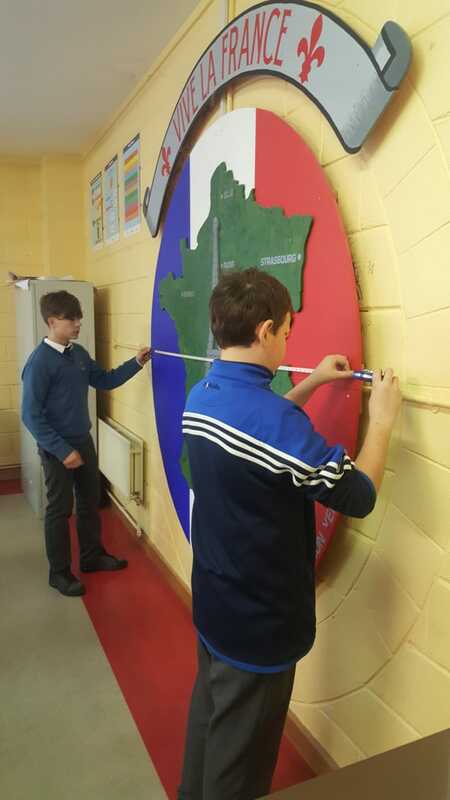 Foustas Stankevicius and Sean Flaherty measuring as part of maths week. 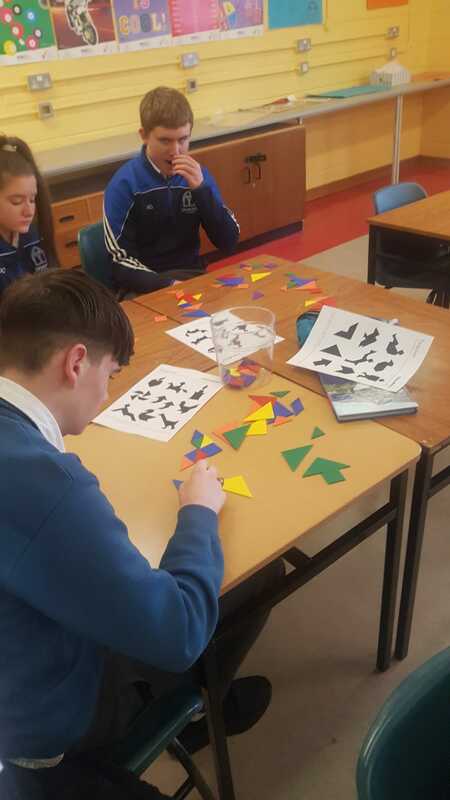 students in Ms Fahey’s class working with Tangrams as part of Maths Week. 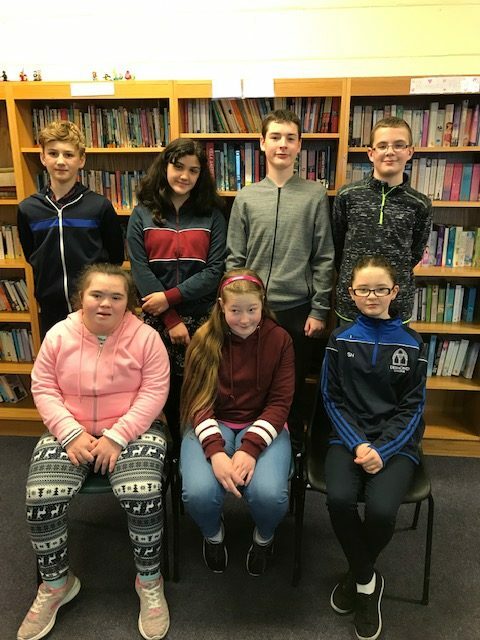 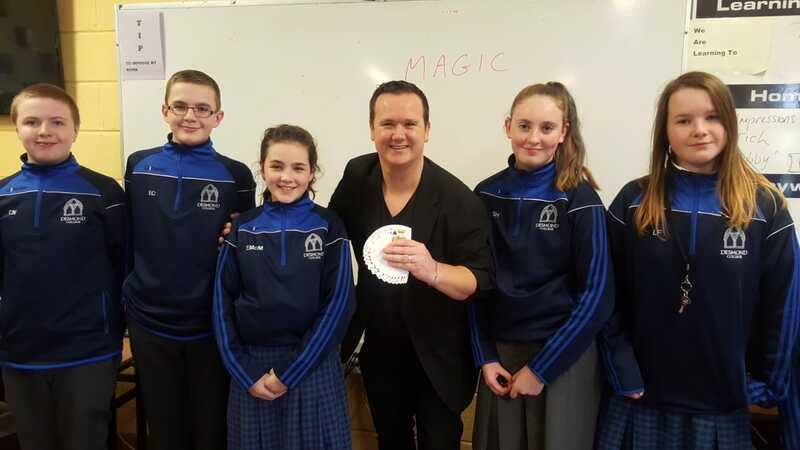 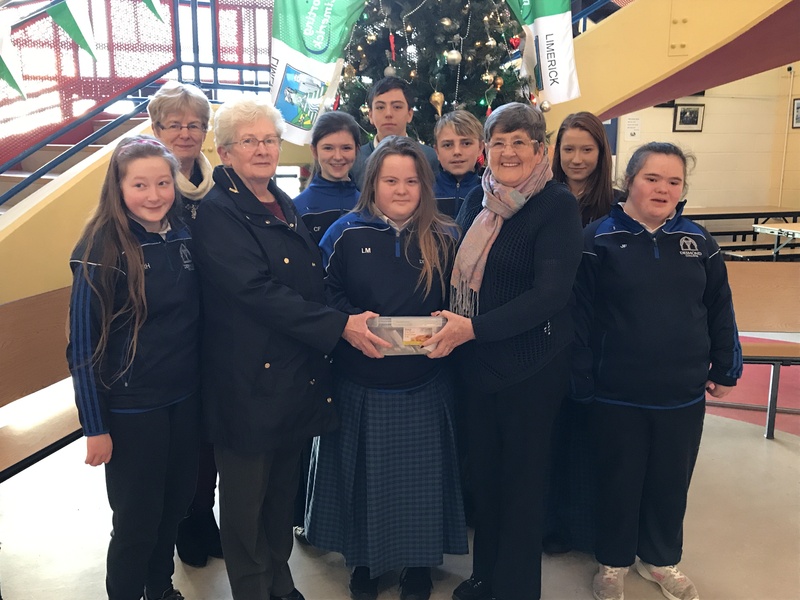 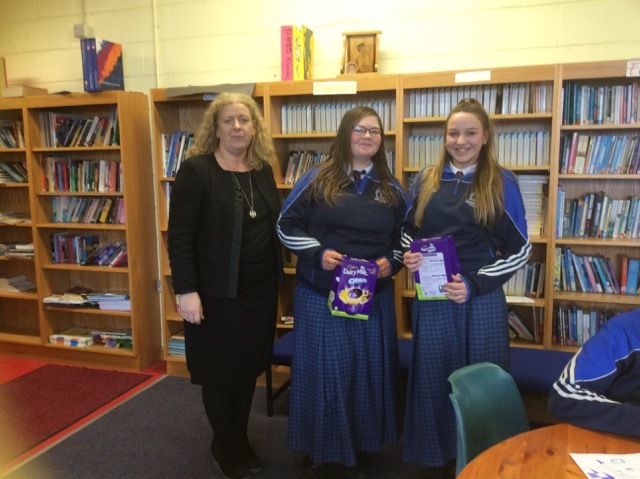 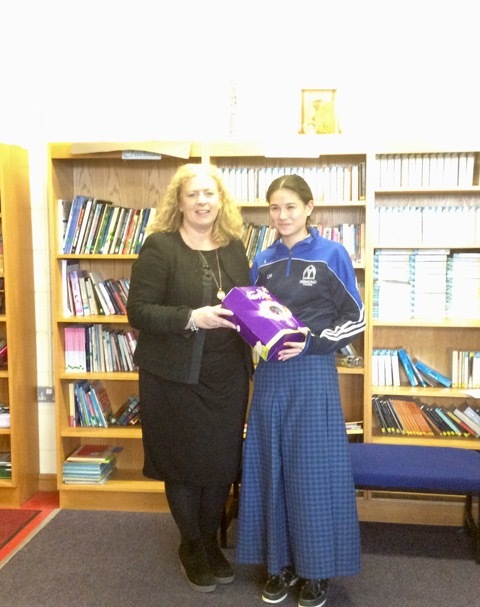 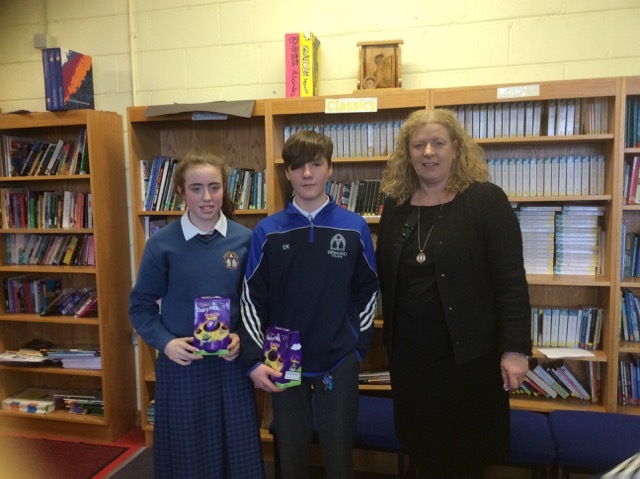 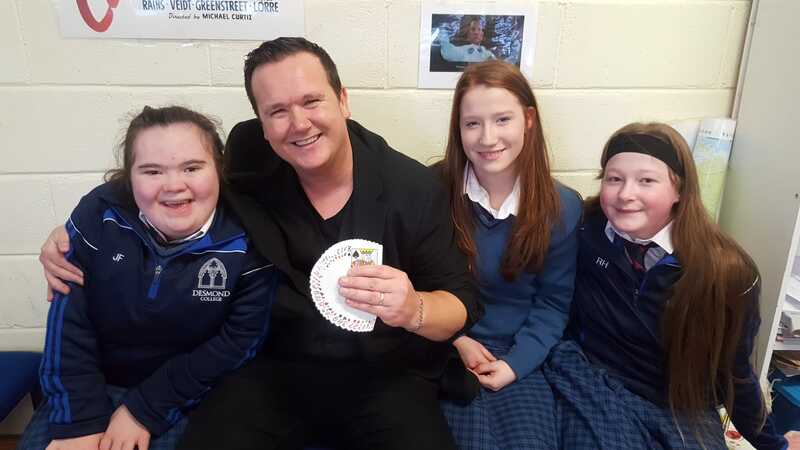 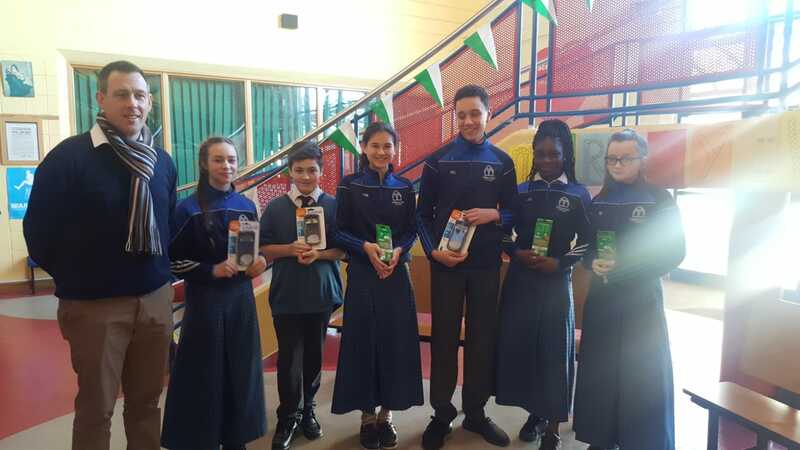 Desmond College Library was reopened on Monday with the first year Scary Story Competition. 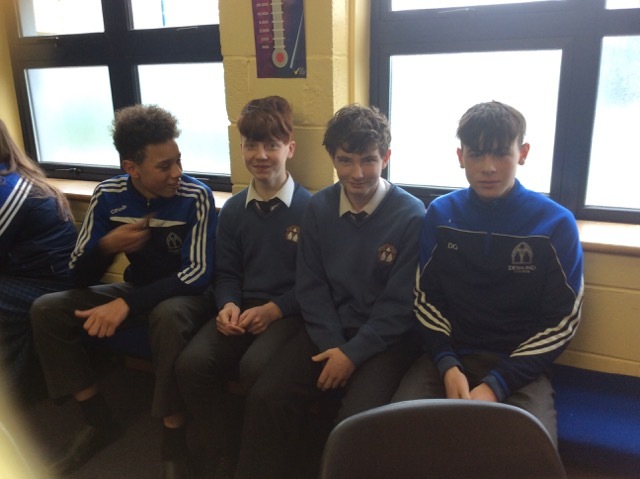 Each first-year English class were tasked with creating a spooky tale to start the Halloween spirit in Desmond College. 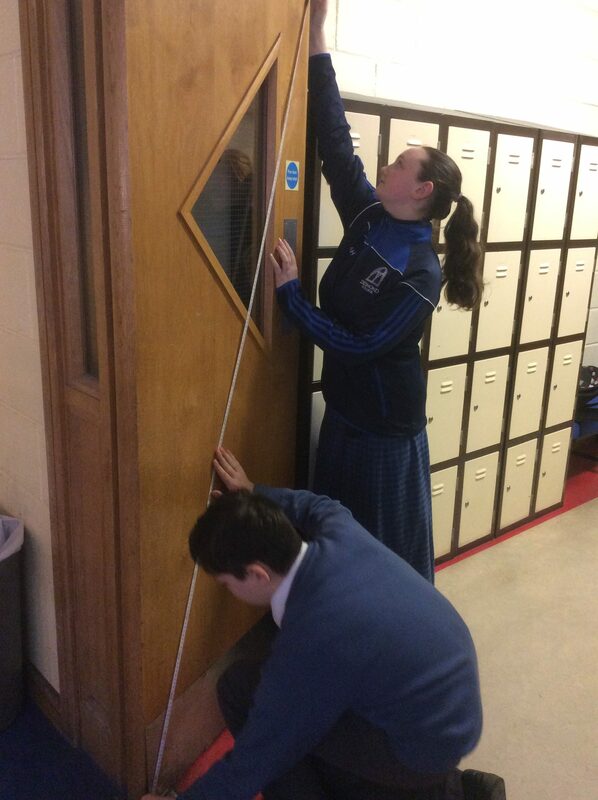 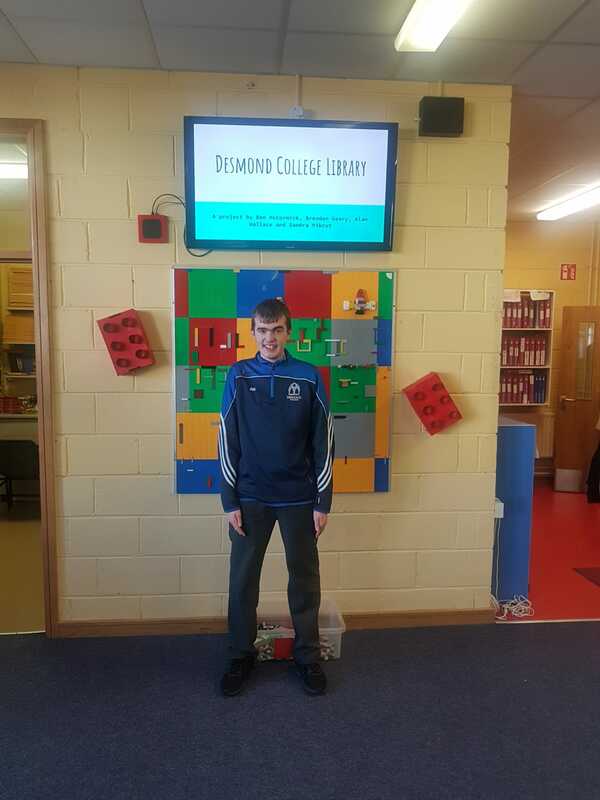 Since September, the LCA 2 students, along with Ms Nash and Ms O’Brien have been restructuring, reorganising and redecorating Desmond College Library. 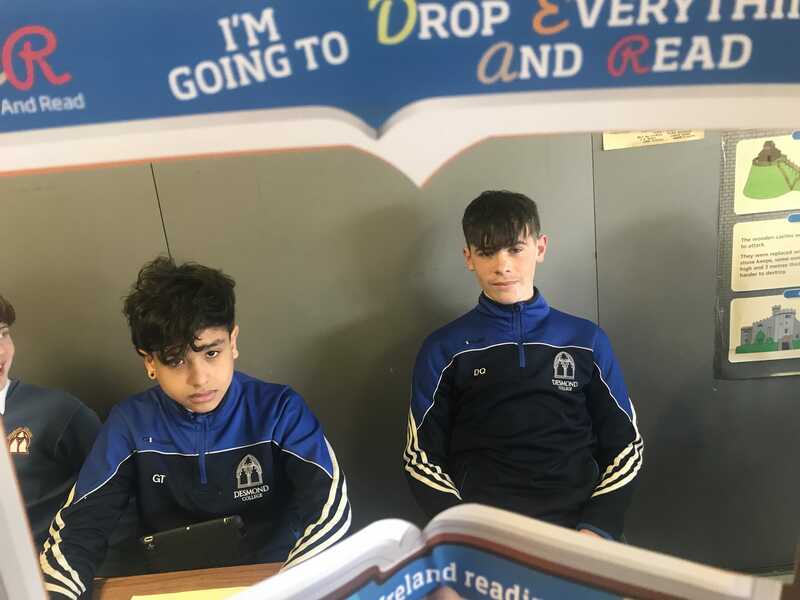 Monday was a reopening to kick off the Reading Challenge “Drop Everything and Read” initiative, which all first-year students will partake in over the coming weeks. 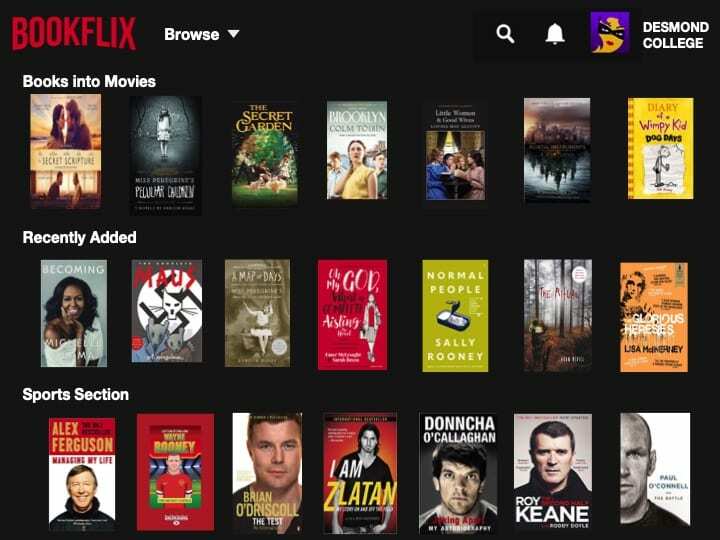 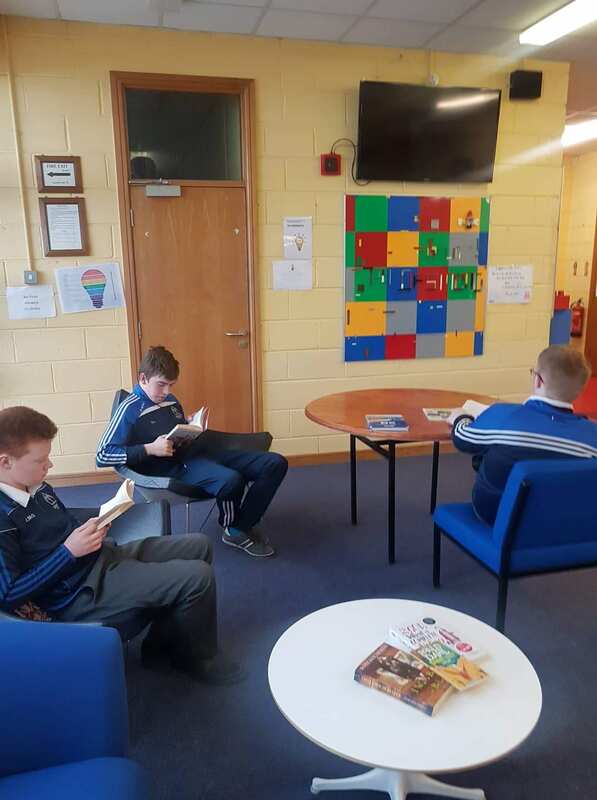 Our school library will continue to be updated throughout the year. 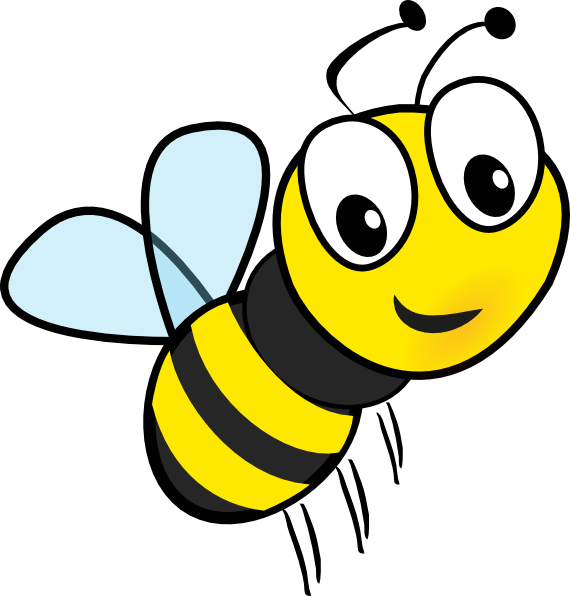 We will keep you posted! 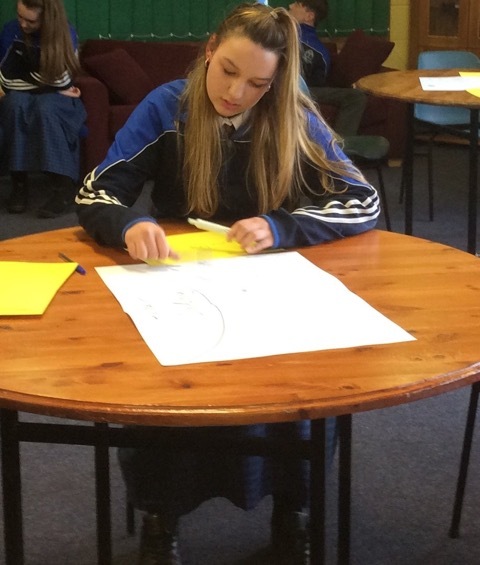 Our Leaving Cert. 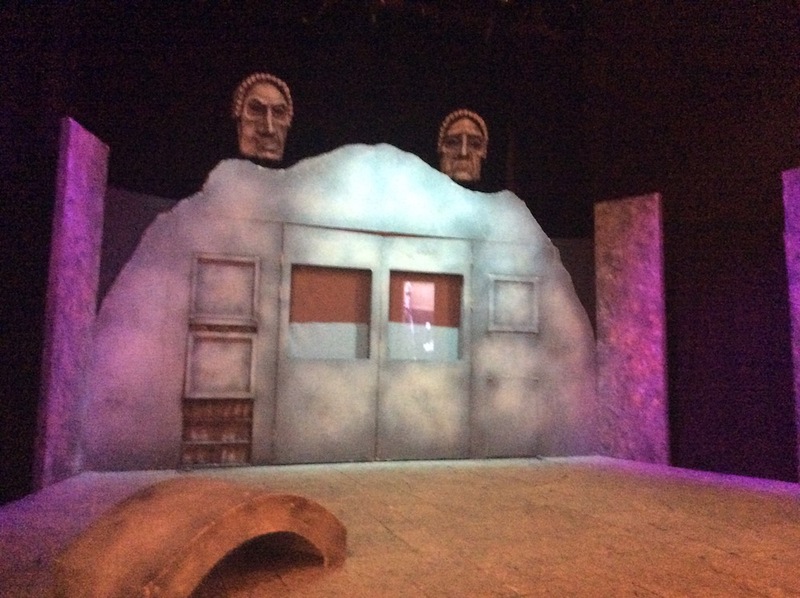 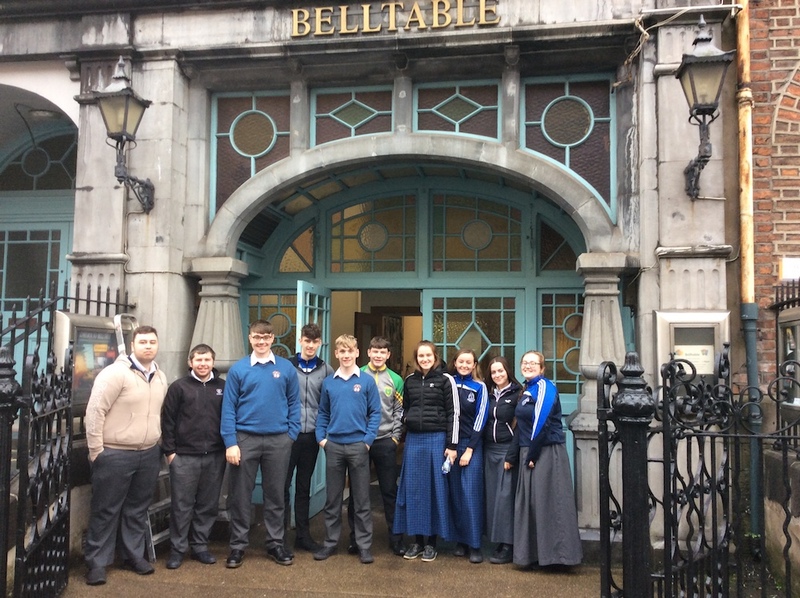 students attended a thought-provoking production of An Triail at the Belltable, Limerick. 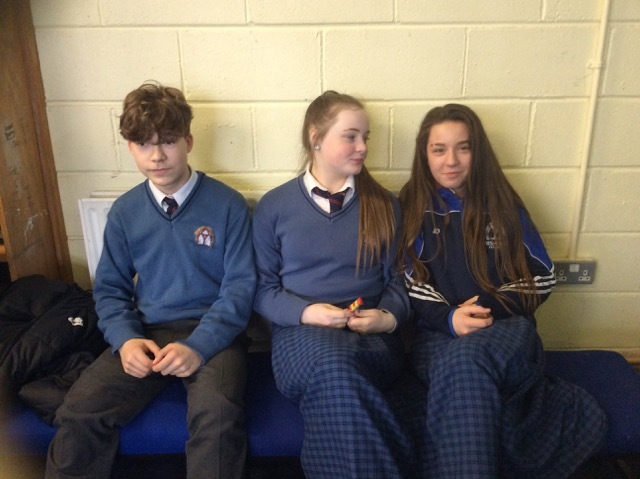 Bhain gach duine sult agus taitneamh as. 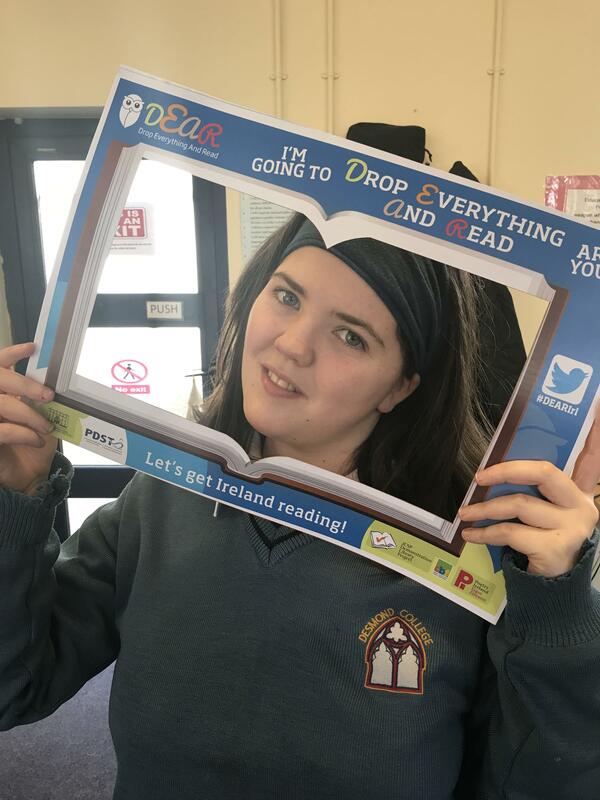 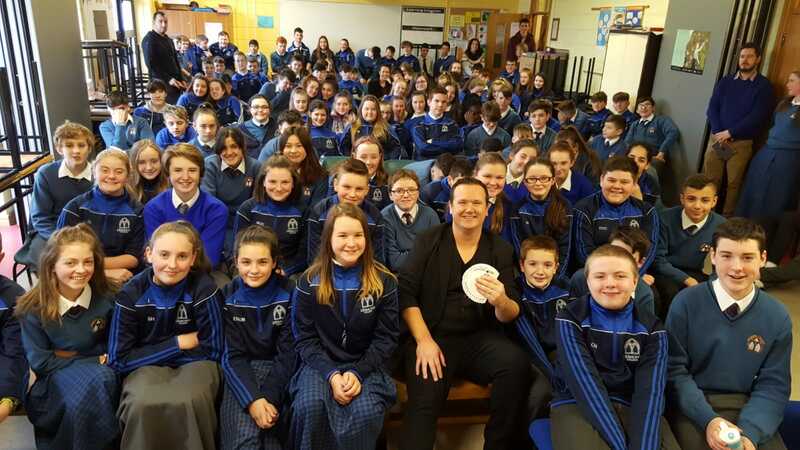 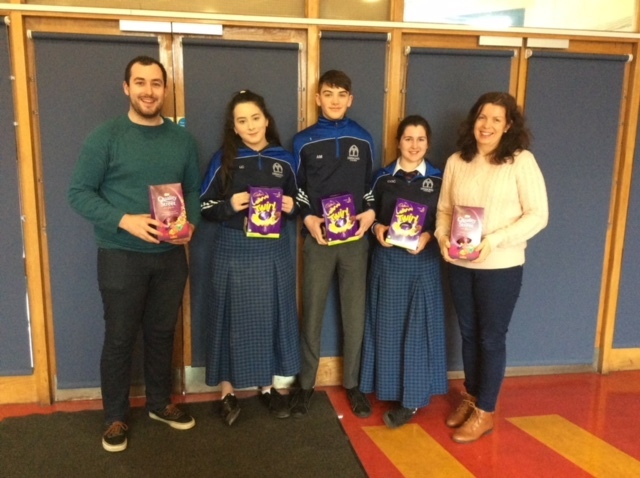 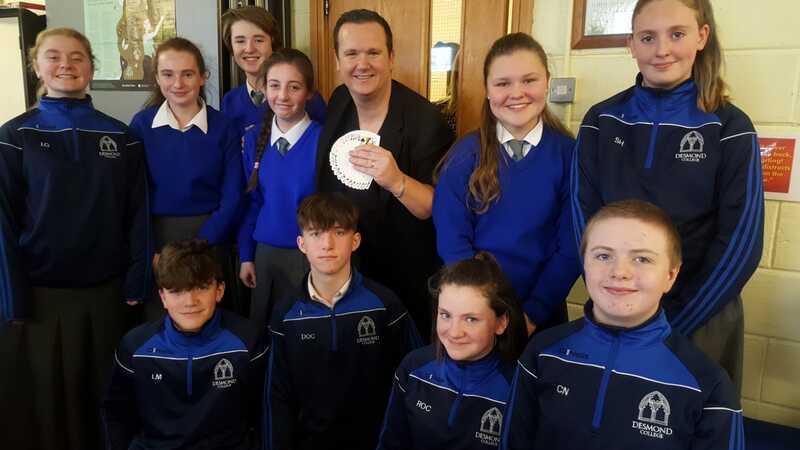 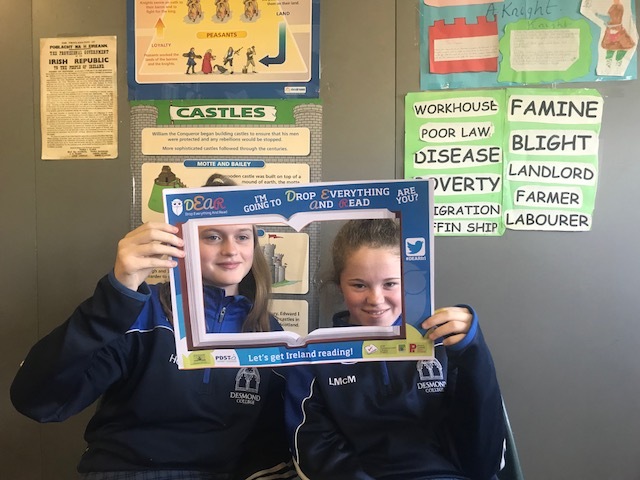 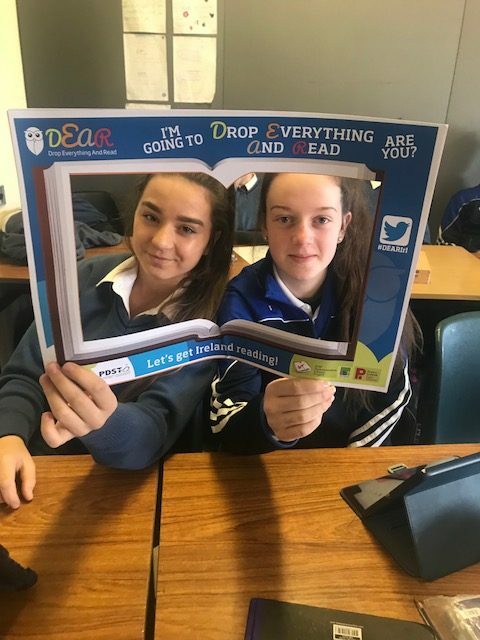 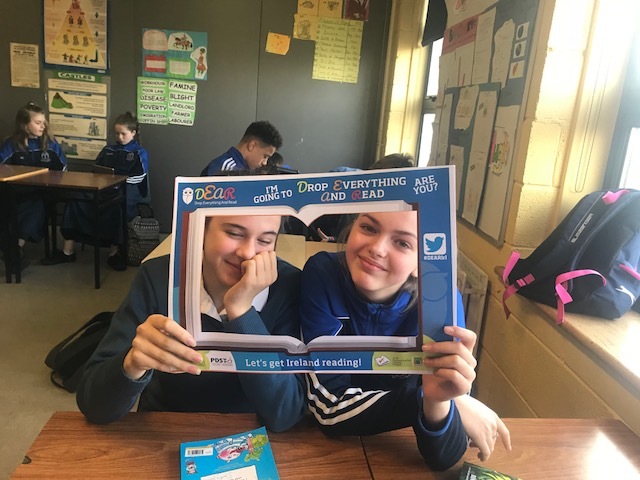 The staff and students of Desmond College took part in the National Drop Everything and Read (DEAR) Day on Friday the 27th April 2018. 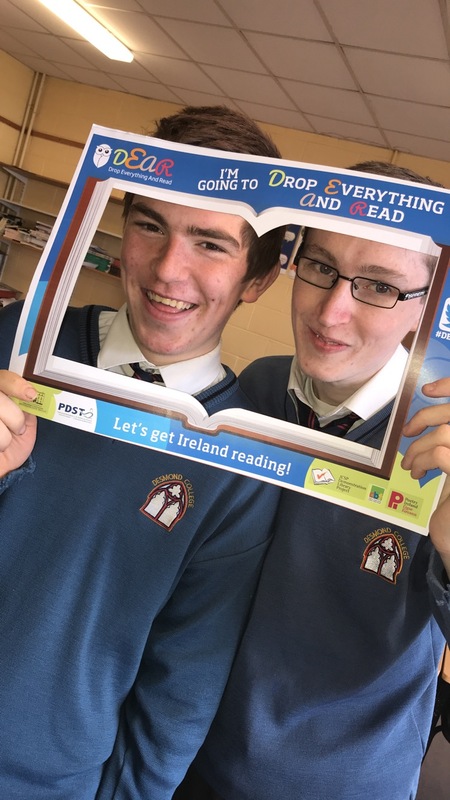 This nationwide event promotes the joy of reading for pleasure. 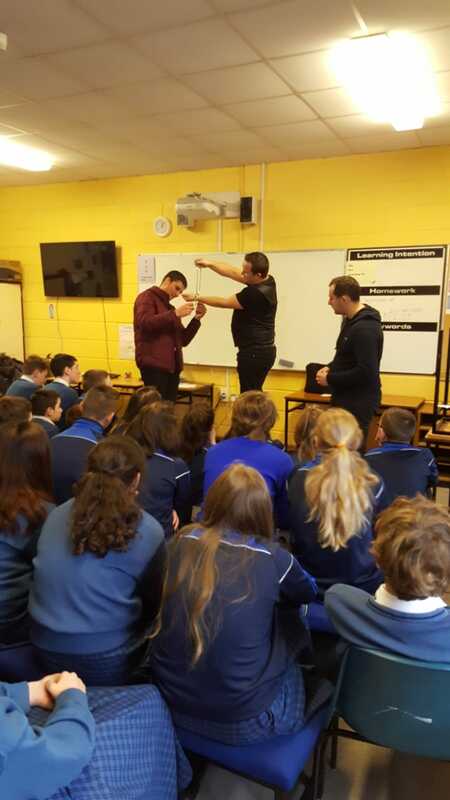 The staff and students had the opportunity to take a break from their busy work and study schedules. 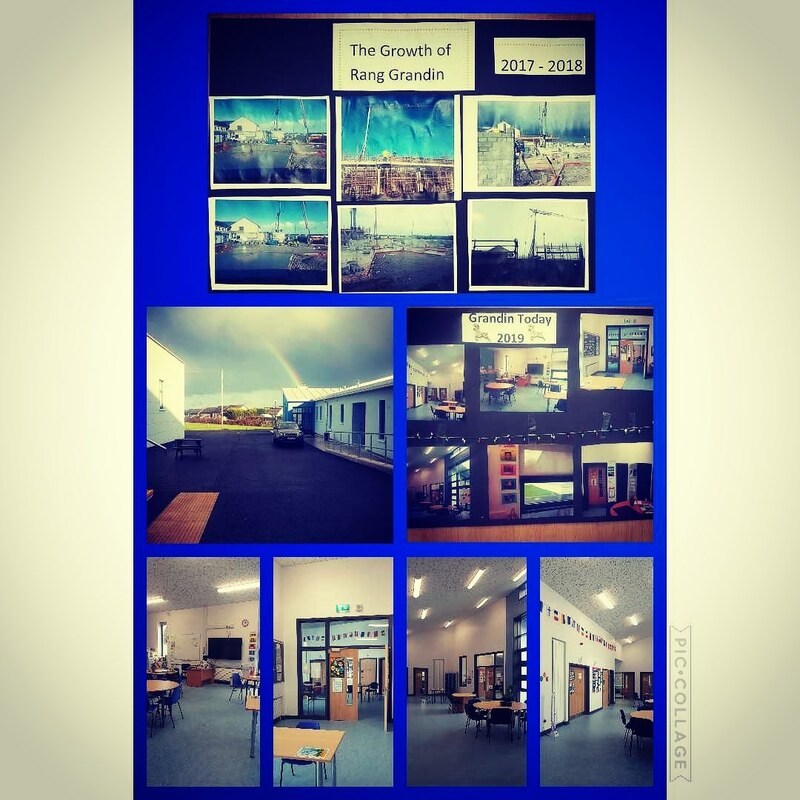 It was a lovely relaxing and enjoyable event! 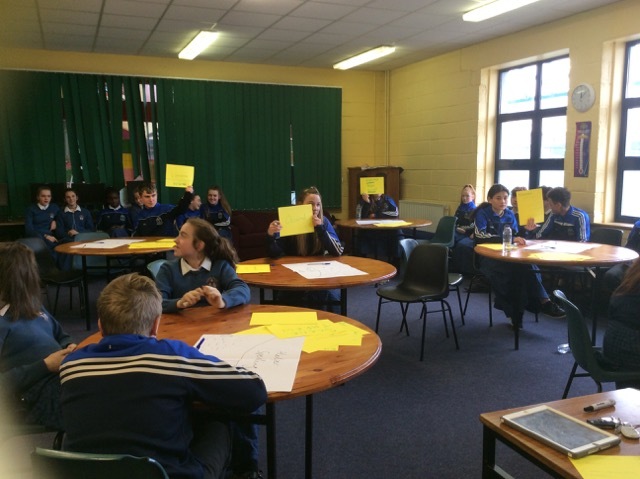 All second year students took part in our annual JCSP Word Millionaire Reading Challenge. 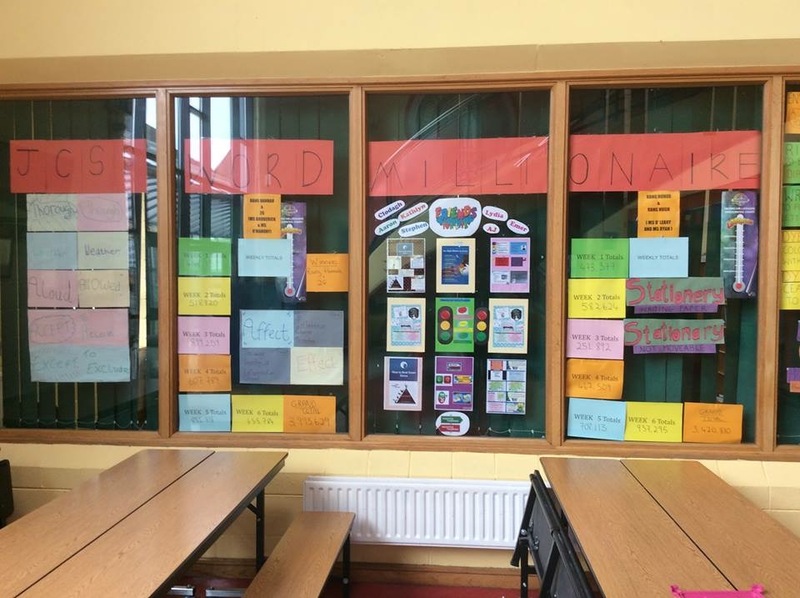 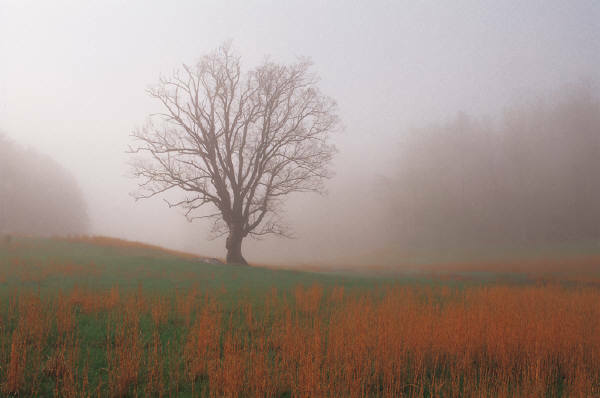 The challenge was to read 1-million words. 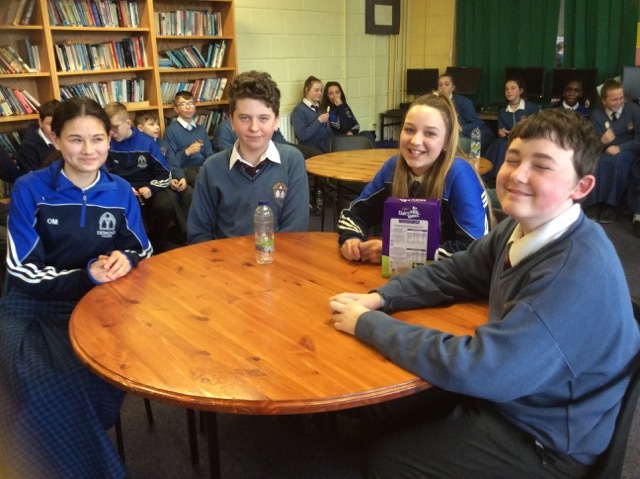 The winning group – Rang Hannah and 2G, read 3,995,629 words!! 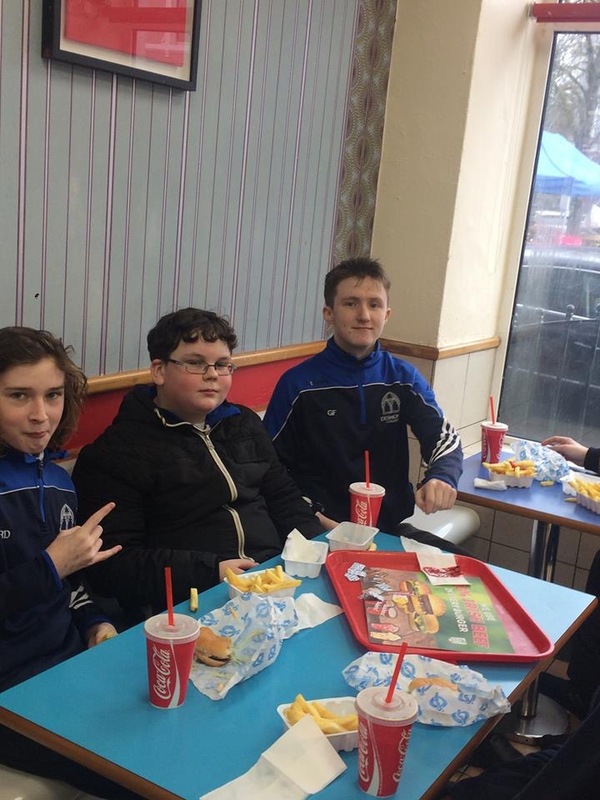 They celebrated their victory with a trip to Superbites for lunch! 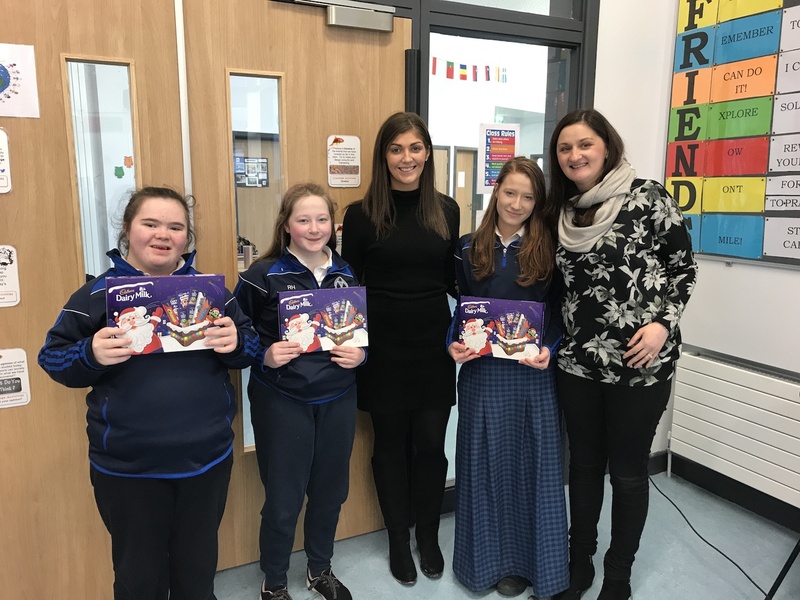 Second Year Winners of the Digital Literacy Piccollage with their teachers, Ms. Walsh and Mr. O’Leary during Literacy Week! 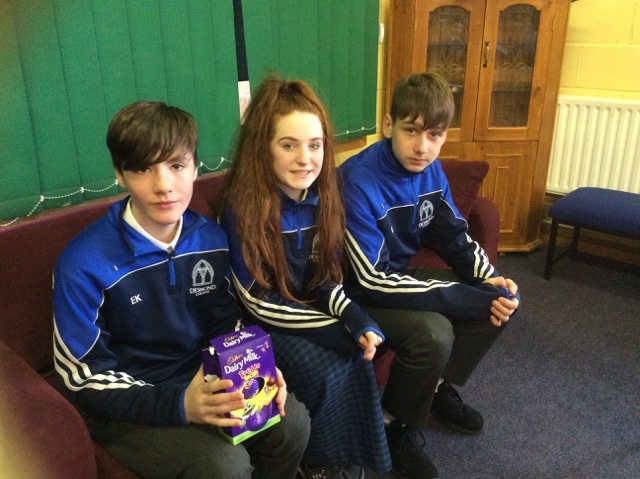 Well done Leah, Aaron and Ciara! 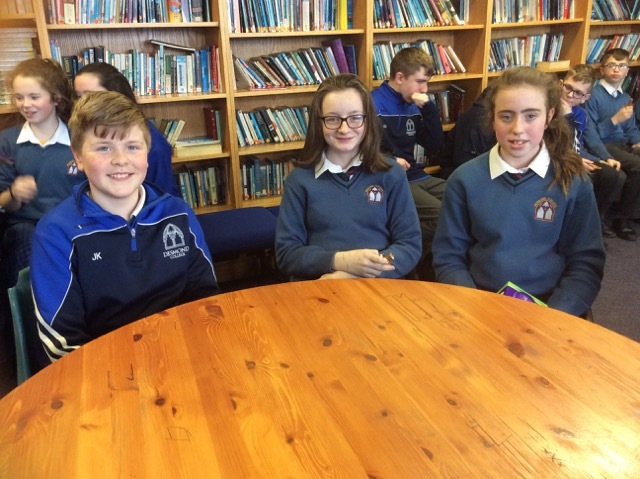 Spelling Bee Competition for 1st years. 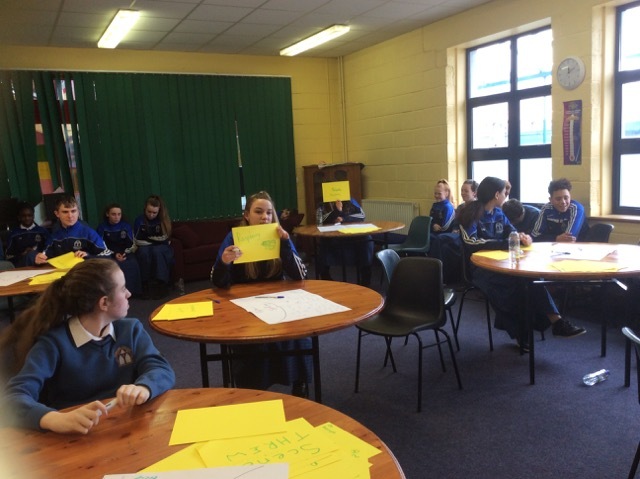 Event organised and supported by TY buddies. 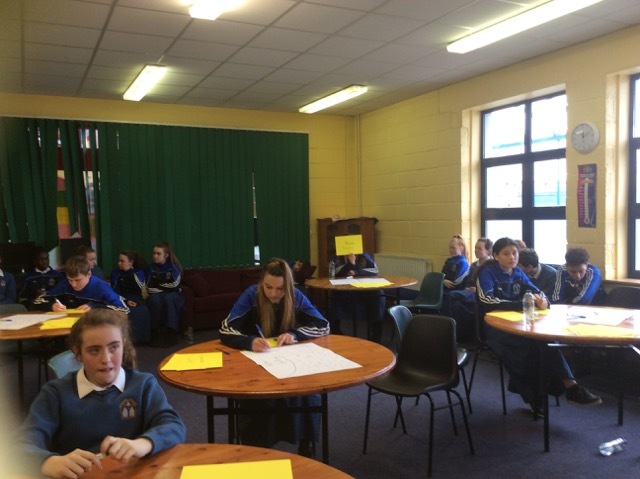 Pic Collage Competition for 2nd years. 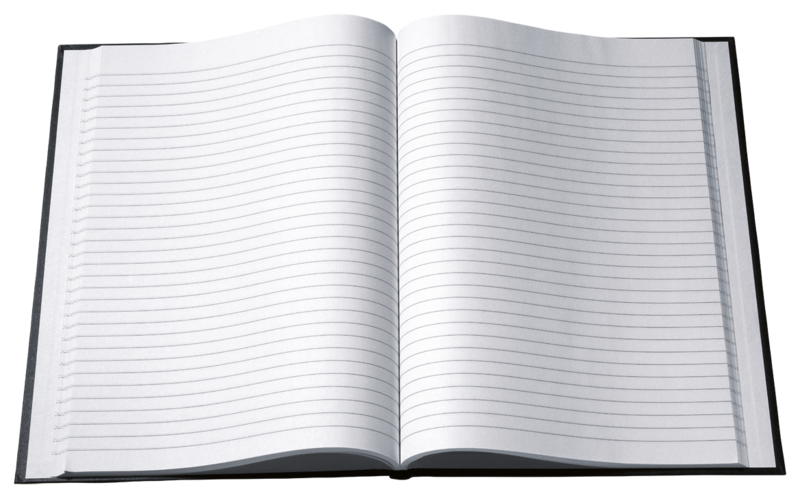 Brief: Any topic using keywords, which show understanding of topic and can be used as a study aid. 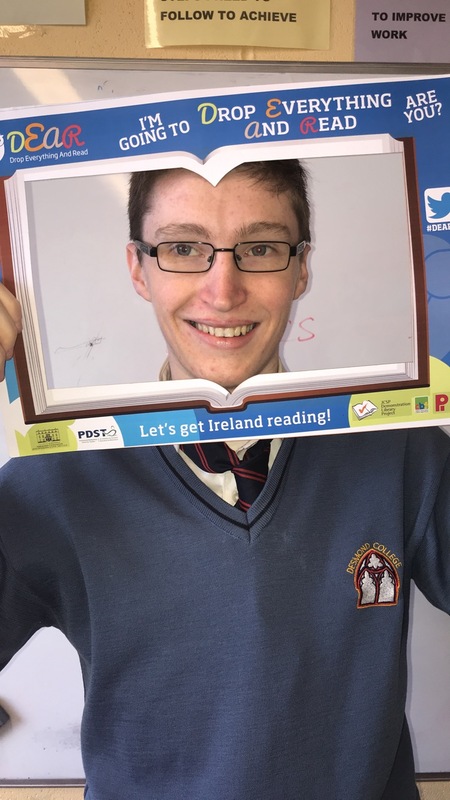 Best from each class to be emailed to Ms Gavin by Wednesday. 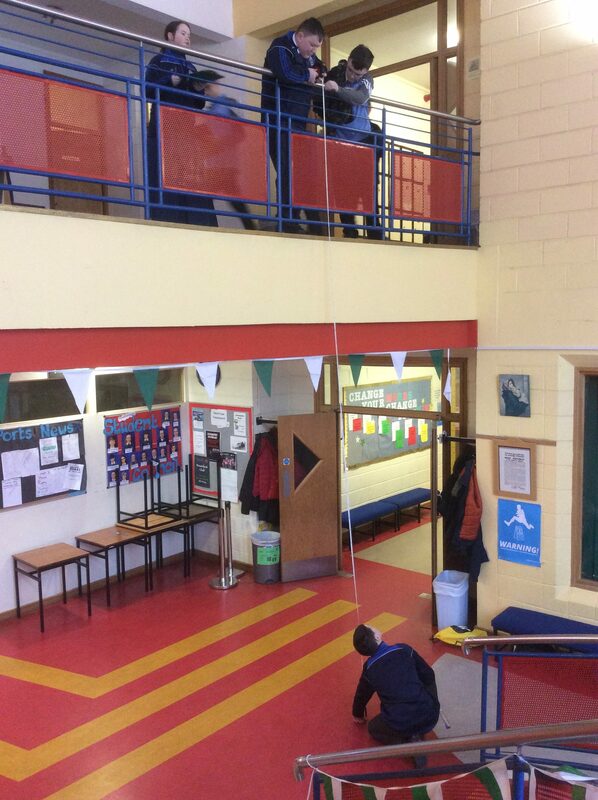 will continue this week during period 6. 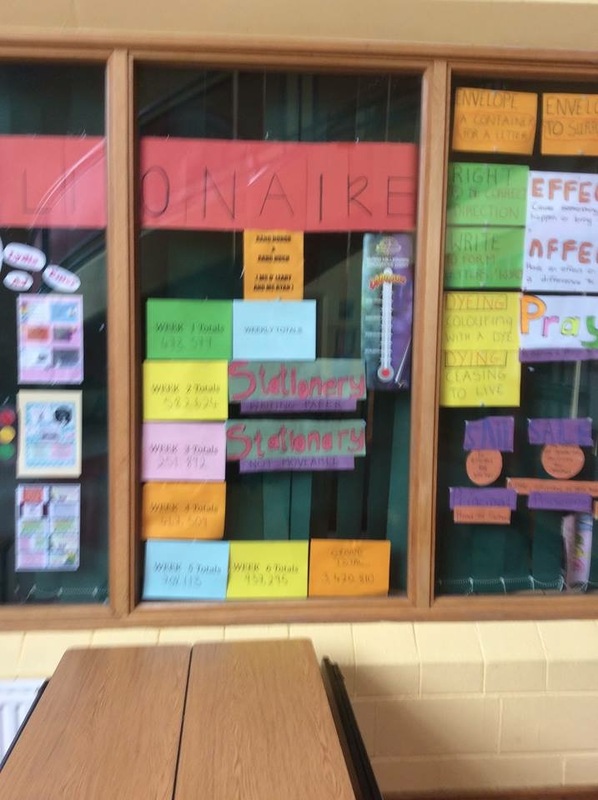 Class scores are displayed on the Library window! 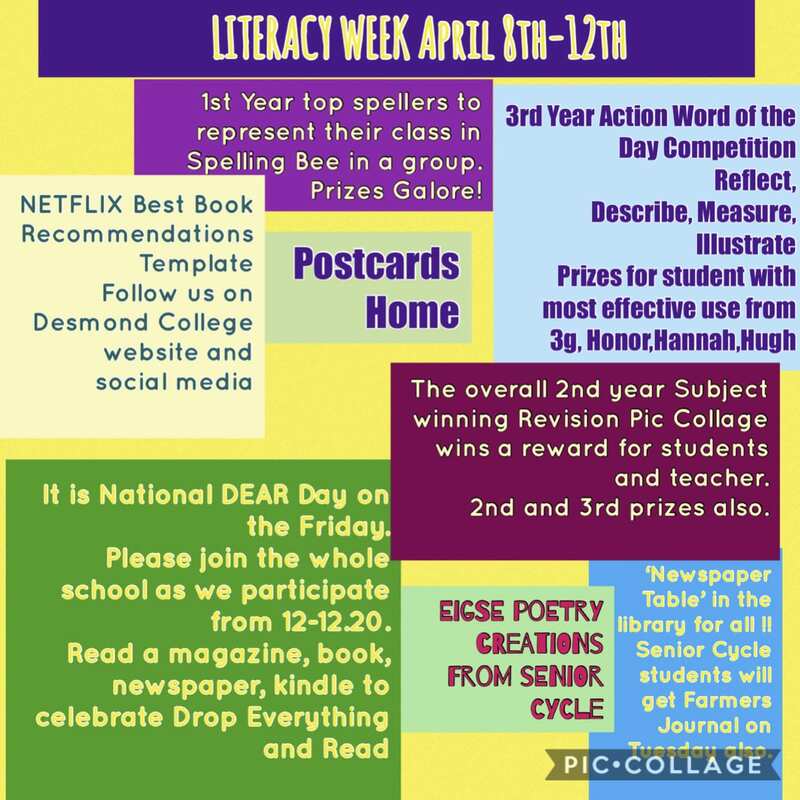 will take place during the week. 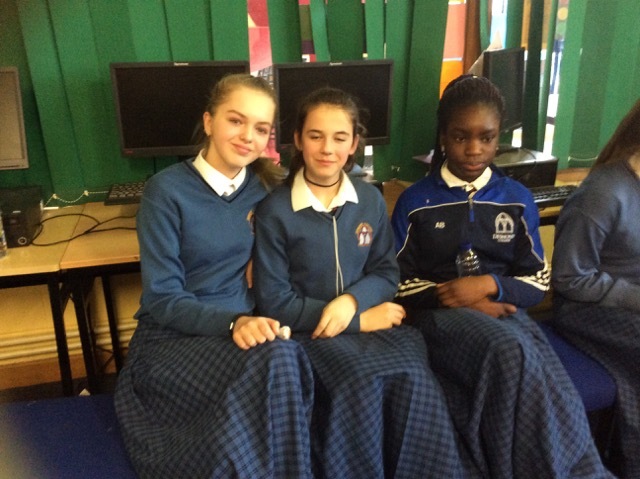 Be sure to wrap up warm!